In 2006, Blake Mycoskie took a trip and got an idea that would change the world. Sounds like an overblown statement, but it is not. It’s just a drop in the bucket. In reality, life for millions of people around the world changed because of the vision of one young man who wanted to make a real difference. And he’s not done yet. Mycoskie founded TOMS after a trip to Argentina moved him to help the children there—children he met who had no shoes. Born with TOMS Shoes was the One for One idea: Buy a pair of TOMS Shoes for yourself and someone in need, somewhere, gets a pair of shoes as well. For free. 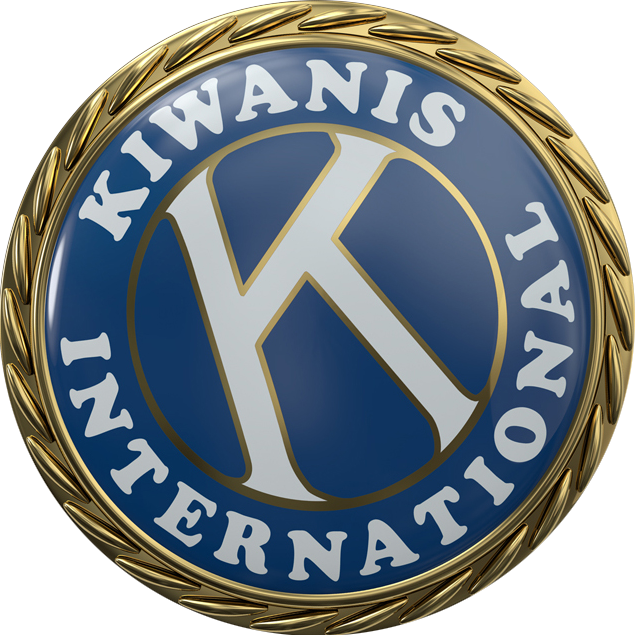 Since that initial idea, the One for One promise has grown into a clean water initiative, an eyeglasses project and now a project focusing on something very close and dear to the Kiwanis family: maternal health and safe birthing practices. We reached out to founder Blake Mycoskie to see what he’s up to now, and to pick his brain a bit about how he comes up with such life-changing ideas. You seem to be quite an “ideas guy.” You’ve kept a detailed journal for years, complete with sketches of your ideas. Is this how you keep up with all of your ideas? And how do you know which ones to really go after? Writing in a journal is so special to me; it’s almost like my Linus blanket. There’s something that is so timeless and classic and somehow more permanent when an idea or thought is written down by hand, much more so than typing something up on a laptop or iPhone. I don’t quite know why that is, but I get a lot of pleasure in going back to journals I’ve kept from seven or eight years ago, when TOMS was struggling to become relevant, and just seeing some of the things we were struggling with or trying to solve. The problem with having so many ideas, of course, is that they are not all good ones, but fortunately I have had close associates I’ve confided in over the years who have helped me weed out the good from the bad. But when they’re good—really good—you just know. You’ve had so many successful ventures. TOMS just happens to be the most popular, most recognizable. Tell us a little about one of your latest big ideas: TOMS Roasting Co.
We’ve known for several years that TOMS needed to go beyond giving shoes, that we have a responsibility to do more, especially as we’ve become successful. So we followed up shoes with TOMS Eyewear, which helps save and restore people’s sight, and then last year launched something completely different and unexpected, which was coffee. But not coffee for coffee’s sake, but coffee for water. I’m not sure most people realize how important water is to the coffee-making process. It takes a tremendous amount of H20 to wash and preserve high-quality coffee beans. At the same time, many of the people in coffee-growing countries don’t have access to safe water. So that was our “ah-ha” moment. TOMS works directly with farmers and, in return, invests in long-term water systems to help provide safe water to communities without it. So with every bag of TOMS coffee you purchase, we will give one week of clean water to a person in need. One for One. How many pairs of TOMS shoes have been given away to date? The numbers are pretty humbling today. And even though we have given nearly 40 million pairs of new shoes to children in need around the world, saved or restored the sight of over 300,00 people, and provided for over 100,000 weeks of clean water for people who need it, there is still so much left to do. We feel like we’ve only just begun. What are you most proud of in all that you’ve accomplished? I believe that business can be used to improve people’s lives. That was just one lonely thought I had to myself nine years ago, and when I first described the idea of giving a new pair by selling a pair, people thought I was crazy. But now, the idea that giving can sit comfortably alongside business and profit and not feel strange at all, and actually feels necessary, is what I am most proud of. To see that so many people in their personal and professional lives have been so inspired by the belief that we are all here for one another to make the world a better place—not in some idealistic hippie-like way but by using the power of entrepreneurship—is something of which I am extraordinarily proud. We’ve got imitators in virtually every category of products and business, and that is a very good thing for the world. I actually have no regrets, and I don’t like to live in the past. There is quite a specific feeling that pulls people to help others in need, and you obviously know exactly how this feels. What would you say to people out in the world who feel that same way and want to do something, but they just don’t know what to do or how to get started? I think if you’re passionate about something, you should try not to worry about the actual size of the problem or the need, or how big the solution needs to be. You might even want to distill it down to helping one person. Get it right in a small way first, and chances are you will learn so much through the process that can be applied to dozens or hundreds or thousands more people. What a lot of people do—especially entrepreneurs—is create these business plans and raise money they really don’t need because they want to get big fast, which is one of the biggest mistakes you can make. The main thing is whatever you’re going to do, do it really well and do it small and if you’re successful there, the size and scale will come. So that’s my big piece of advice: Start small, focus, get it right and then let the growth come. Your book, “Start Something That Matters,” puts into words the importance of doing something that will better the lives of others. What (or whom) would you say put you on this path of helping others? Did you have a strong role model who instilled this passion in you? Growing up, my family and especially my parents played such an important role in allowing me to feel comfortable going down a path like this. My father is a doctor, and my mother was always rescuing and taking in stray animals and pets—she has such an amazing, caring and giving heart. When you witness these kind acts of selflessness daily or weekly during your formative years, it can have an effect on you—as it did me. There is real spiritual and emotional power in giving to others, and that’s something I learned early on in life. I’d like to think that that—combined with persistence, hard work, character and integrity—will put most people on a good path. For the past several years, Kiwanis members around the world, along with our partner, UNICEF, have focused their efforts to eliminate maternal and neonatal tetanus from the face of the earth. If you had one message for these thousands of volunteers who are working to change the world one child and one community at a time, what would it be? My message is to not give up. The fact that innocent babies are dying unnecessarily is heartbreaking. From what I know about this issue, I know that even though the task will sometimes feel insurmountable, if you stay focused and committed and passionate, MNT can be prevented and even eliminated one day. We have faced an issue at TOMS called podoconiosis that felt the exact same way, but thanks to our partners, we have made great strides over the past five years and continue to make strides. It takes time, and yes, often it takes money, but it can be done. What’s your next big idea going to be? Any spoilers? My next big idea is here: I became a dad for the first time! Seriously, though, our newest One for One product, the TOMS Bag Collection, launched recently to address the issue of maternal health, which I am now more than quite familiar with. While in the field, I’ve met mothers and entire families who have been affected by the physical and emotional repercussions of giving birth alone or in unsafe environments. We feel it’s our responsibility to change this through the TOMS business model, and we’re so proud to be able to present the first TOMS product that can actually help save lives. Some people will argue there are enough families and children in need right in our own backyards that it seems wrong to help people in other countries before “helping our own.” Others will argue that helping anyone helps the entire world. What do you think? That really is an “either/or” argument which is difficult to win. Obviously, most people can relate easiest to what their own experience is, so I understand why they feel compelled to help in their own backyard, especially in a tough economy. The TOMS community has clearly told us that they want us to do more and to give more in the U.S., which is why we committed to giving over 1 million pairs of shoes last year to people in need in America. We worked closely with our partner Save the Children to integrate shoe distributions into their initiatives in Kentucky, Louisiana, Mississippi, South Carolina and Tennessee. What’s even more exciting for us is that the children in Save the Children’s SummerBoost Camps and after-school programs received our new TOMS Sports Shoe, which were specifically designed for lots of physical activity, playing games and being a kid. In your opinion, what is the biggest threat we face in our world today and how can we each step up to make a positive change? If servant leaders wanted to tackle a project based on this problem, how would you suggest they get started? The biggest threat is to do nothing. I mean that. It’s so easy to complain about what’s wrong with the world or your community, but today with social media and technology it’s never been easier to do something about it. So my suggestion is to do something, to start small and not try to change the world all at once. When I started TOMS, I wasn’t even interested in starting a new business or company. I thought I’d only be helping 250 kids in a village in Argentina. My goal was small, but obviously the idea turned out to be bigger than I ever imagined. Today’s and tomorrow’s leaders can do the very same thing. What’s your favorite pair of TOMS Shoes? Well, I am partial to many of the new men’s styles we have, from the brogues to our new lace-up chukka boots, but at the end of the day the answer is pretty easy. They are the red university classics with a rope sole and red- and white striped canvas. The more sun-bleached, the better. If I’m going to Fiji or somewhere, I’ll take a couple of pairs and let them sit out in the sun to fade. Like most classics, they only get better with time. I wish TOMS would set up a factory, to manufacture the shoes, in every country where they provide shoes. Making jobs is the best way to help people out of poverty. Invest in the economy not just provide hand outs. Good news! TOMS is doing way more than just giving shoes … they are investing in communities in many ways around the world. http://www.toms.com/where-we-give. Exciting stuff happening!